“We believe that the most effective way to address these real-world challenges is continuous threat protection against these attacks." Cisco has today unveiled new capabilities and services designed to provide security professionals with “extensive intelligence and analysis” on potential compromises and solutions to protect against, respond to and recover from attacks. Announcing the addition of AMP Threat Grid to the Cisco Advanced Malware Protection (AMP) portfolio, the offering integrates innovation acquired through last year’s acquisition of ThreatGRID. This integration provides the latest malware threat intelligence and dynamic malware analysis capabilities, both on-premise and in the cloud, that strengthens Cisco AMP’s continuous analysis and zero-day detection capabilities. “Every day organisations are faced with advanced threats that infiltrate and persist in company environments for months before they are discovered,” says Marty Roesch, Vice President, Chief Architect, Cisco Security Business Group. “We believe that the most effective way to address these real-world challenges is continuous threat protection against these attacks. 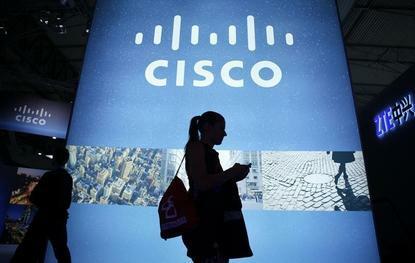 In addition, Cisco is introducing Incident Response Services that equip organisations with teams of information security experts that leverage threat intelligence and best practices for readiness and response from network to endpoint to cloud. As dynamic as the modern threat landscape is, there are some constants; adversaries are committed to continually refining and developing new techniques that can evade detection and hide malicious activity. This is evident by the 250 percent increase in malvertising attacks as cited in the Cisco 2015 Annual Security Report. Additionally, the report claims that enterprises are in a “persistent state of infection”, showing 100 percent of networks analysed had traffic going to websites hosting malware. “Attacks are occurring at an alarming rate,” adds James Mobley, Vice President, Cisco Security Solutions Group. “Unfortunately, many enterprises do not have cybersecurity professionals with the necessary expertise and skills to prepare for and mitigate these attacks. “The Cisco Incident Response Services team works with businesses to address these challenges, taking an intelligence-driven approach to security, so that security blind spots can be reduced and network visibility improved.